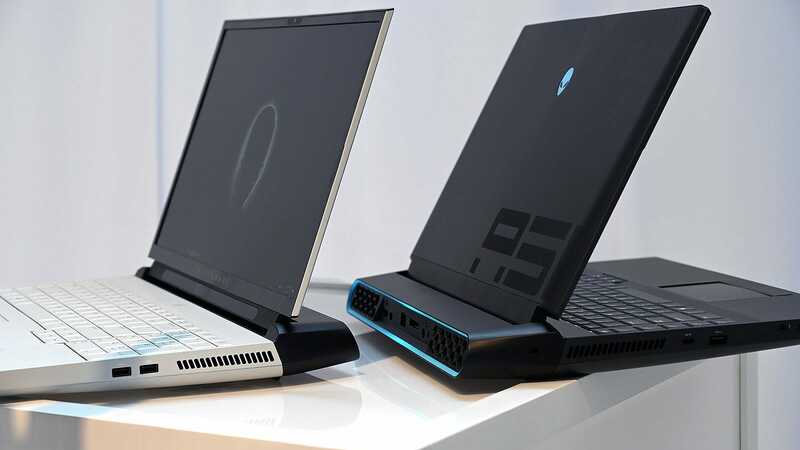 Every few years Alienware, Dell’s gaming-focused brand, dramatically changes its design language. In 2009 it moved from the alien-like aesthetic it had embraced for a decade to something more industrial and reminiscent of an 80s supercar. 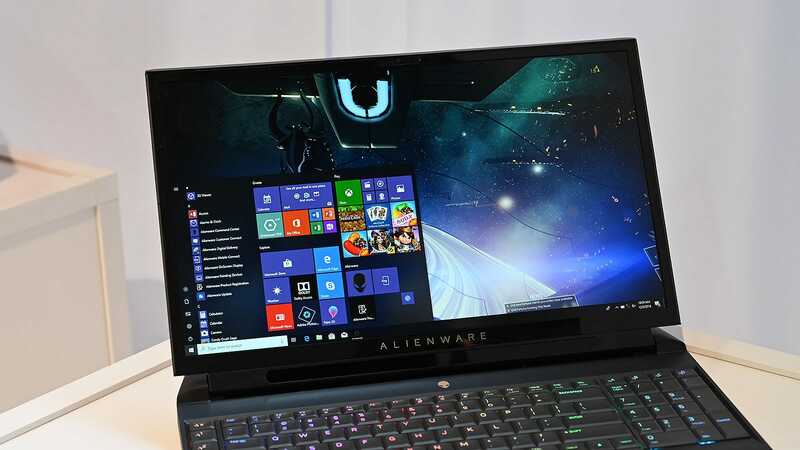 And starting in 2019, Alienware plans to roll out a slew of products created using a whole new style, beginning with the gorgeous Alienware Area-51m, which shares its name with the desktop that put Alienware on the map back in 1998. For Alienware and Dell, this is a big thing. Alienware is known for its distinctive design, and it doesn’t like to change it often. But like Apple, it’s a trendsetter. 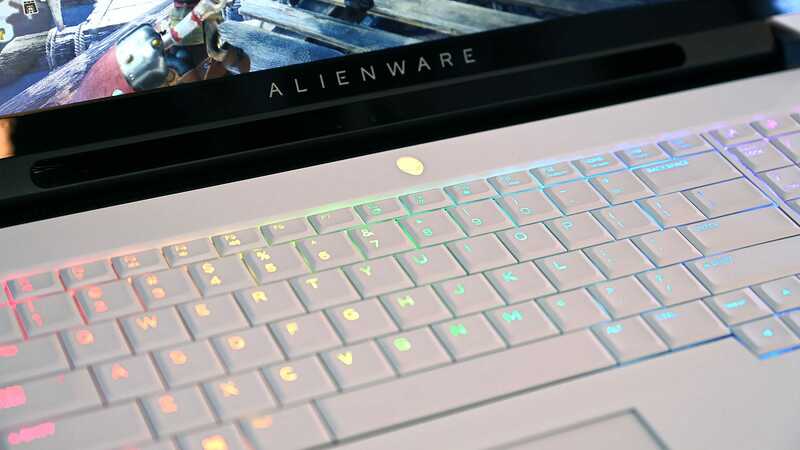 When Alienware shifts to a new design language, inevitably other gaming companies, and especially laptop makers, find themselves suddenly inspired. Alienware is one of the main voices in what defines the gamer aesthetic, and when it shifts its focus, it’s important to take note. 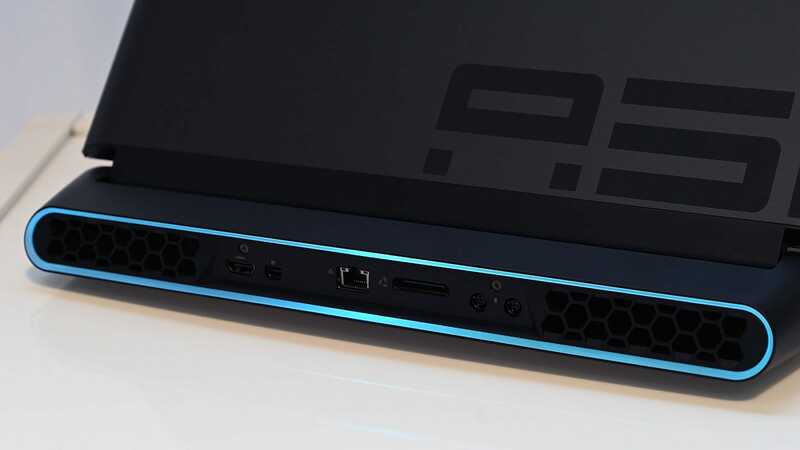 What’s exciting about this year’s redesign is it’s moving Alienware, and hopefully gamer companies as a whole, towards something a little more friendly. 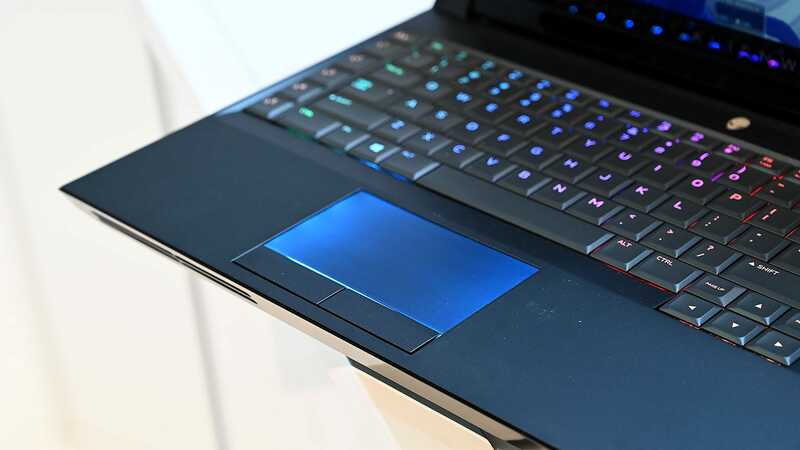 While we all might have a fondness for the gamer aesthetic, or at least elements of it, it can feel pretty silly to use a big dark laptop festooned in a rainbow of LEDs with splashes of too bright colour as accents. Sure it hits all the key gamer buttons, but the aesthetic also feels distinctly juvenile—like inflatable furniture or lava lamps. And it often feels aggressively masculine like it’s got something to prove or is compensating. As the gamers who bought into this aesthetic when we were 15 start sliding into our 30s and 40s, it often seems less like we’re defining ourselves by our gamer identity, and more like we’re in arrested development. The gamer aesthetic needs to grow up. And the new Alienware Area-51m is a step in the right direction. 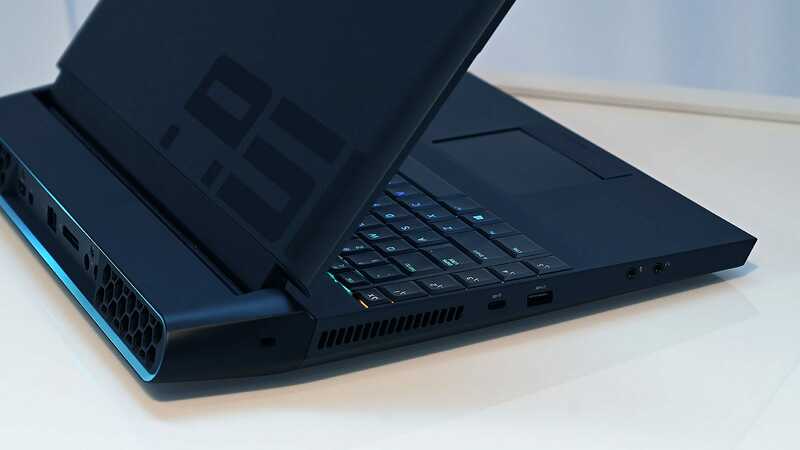 The lines of the laptop are curvier, with soft swells instead of harsh angles. And it comes in two different colours, with a white version (Lunar Light) being the marquee laptop, and a darker grey version (Darker Side of the Moon) available for those who can’t let the past go. The LEDs are still there—because changes to a culture-defining aesthetic come in increments—but they’re more tasteful. 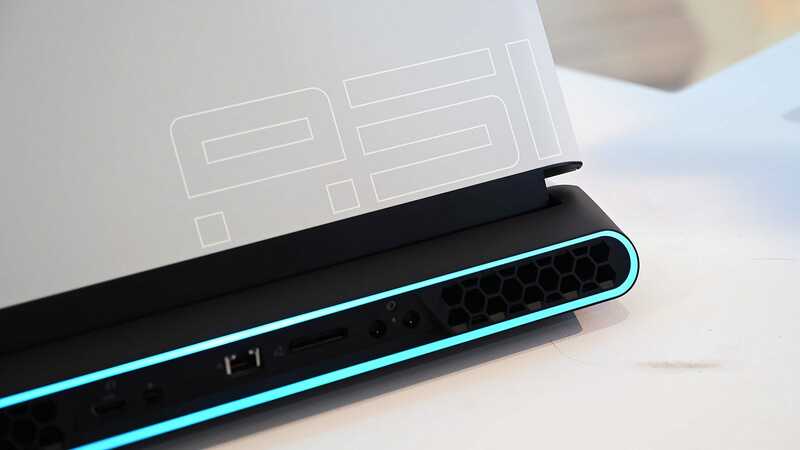 There’s the keyboard, which is lit per key, and the alien head logo, but also a ring of light on the back of the laptop that gives off a glow. It doesn’t twinkle and instead feels almost elegant. Indeed, the white version of the laptop is wholly elegant. 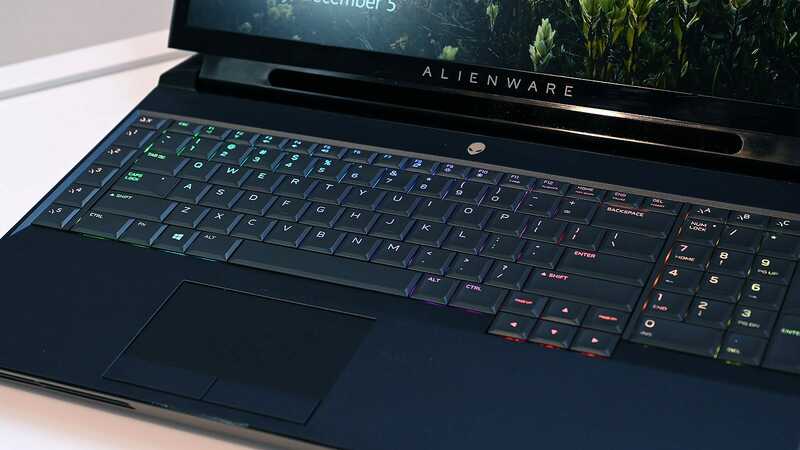 It feels almost cerebral where the previous Alienware design was more shouty. 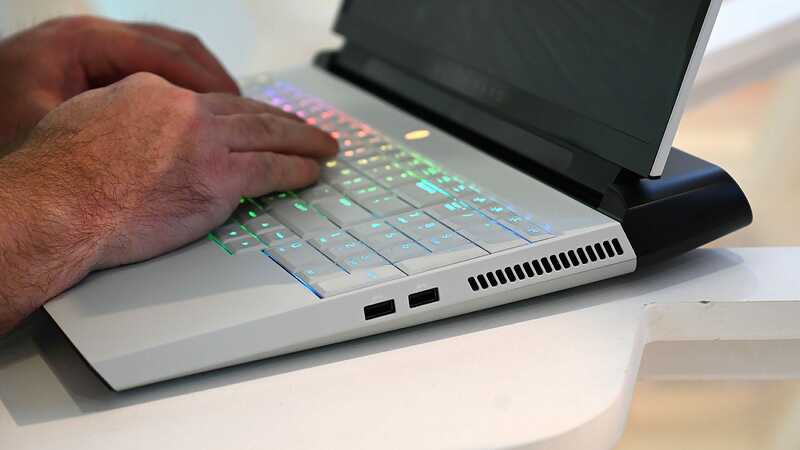 Alienware isn’t the first to do an all-white laptop for gamers. Razer dropped a white Blade 15 in October. But that laptop is a lot thinner and less powerful than the Area-51m. This thing sports an Intel 9th-Gen 8-core desktop processor inside (upgradable to a just-announced i9 9900K). Not a mobile CPU. The same CPU you find in a tower. And like a tower CPU, this one can be upgraded by the owner any time they please. Really. A user upgradable CPU in a laptop. For those wondering, the Area-51m will start at $2,549 (£2,006; UK pricing and availability TBA) when it ships later this month. It’s unclear what the config at that price will be, but I suspect it will include an Nvidia RTX 2060, and an Intel 9th-Gen i7 processor. The CPU isn’t the only user upgradeable component in the Area-51m. 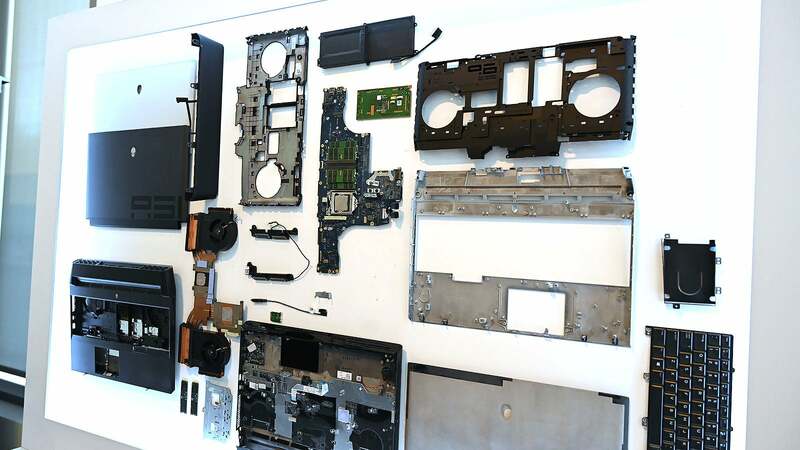 The storage and RAM can also be upgraded with the removal of some screws. And for the first time in a long while, the GPU in a laptop can be upgraded. 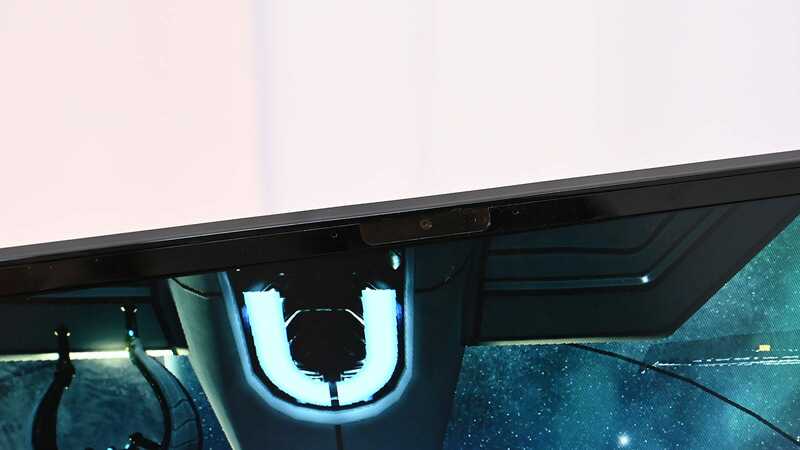 Alienware has packed an Nvidia 2080 (no throttled Max-Q in sight) inside the Area-51m and promises that later GPUs will be made available for purchase, so you upgrade when you like, instead of upgrading the entire damn machine. It’s an incredible move, and usually, when you have a laptop with this much power inside, you expect it to weigh about the same as a small car. 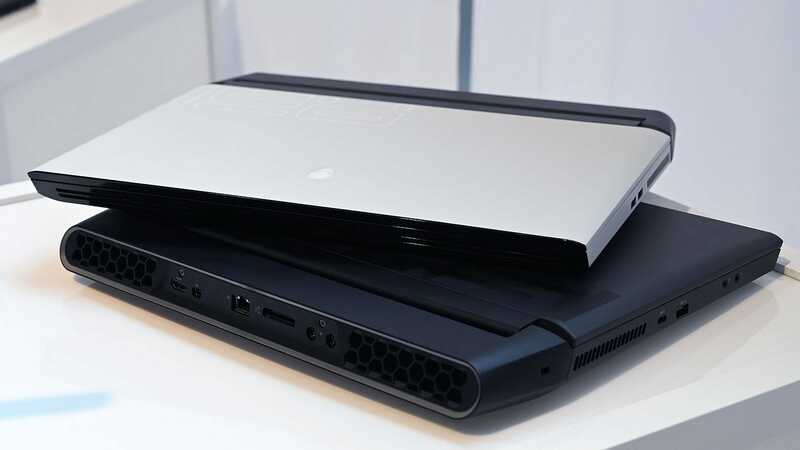 But Alienware went with a primarily magnesium based chassis, so the Area-51m weighs 8.54 pounds. That’s by no means insignificant, but still well under what one might expect. By comparison, Acer’s 21-X, the laptop that probably held the honour of being the fastest ever made to date, weighs 18.76 pounds, and the de facto portable power champ, the MSI GE75 Raider, which also has a 2080, Intel H-series CPU, and a similar display, weighs just over 10 pounds. You also just expect a laptop this powerful to be as ridiculous looking and super thick as the Acer 21-X or the MSI GE75 Raider. But the Alienware Area-51m doesn’t look that ridiculous. It looks pretty dang smooth. 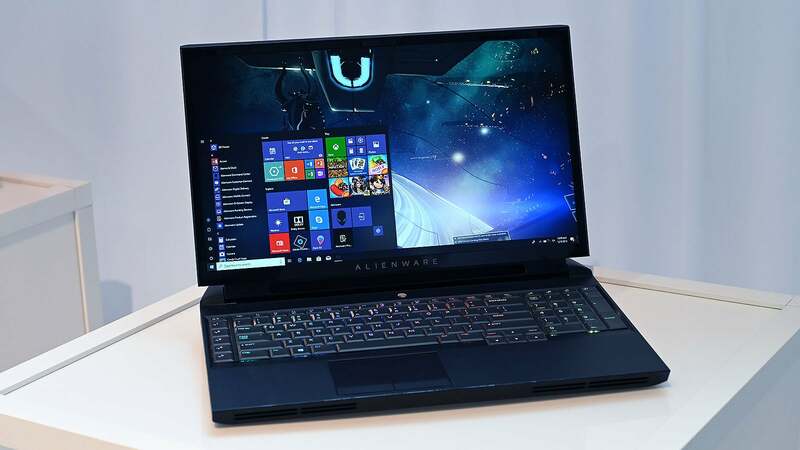 Razer might be redefining the gamer aesthetic with subtlety in less powerful laptops, but Alienware is showing that even the beefiest gaming laptop can still have some class. It also plans to roll out this new design language across the rest of its line, including less powerful laptops, desktops, and peripherals. 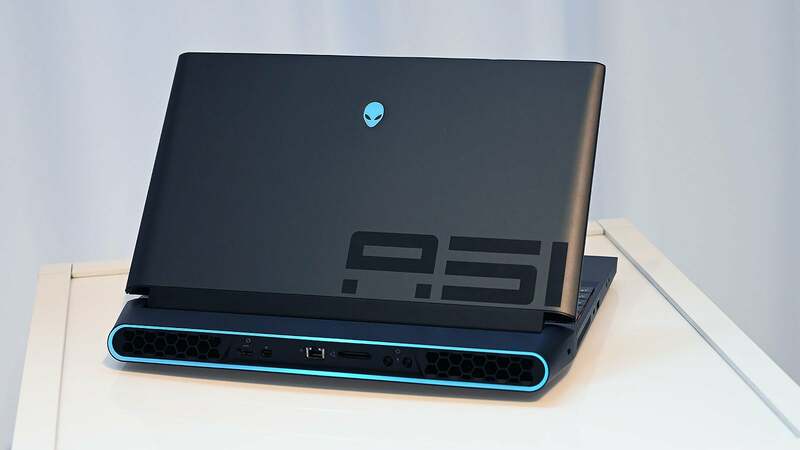 The Area-51m is meant as a herald of Alienware’s new design, but it might also herald a coming change to the gamer aesthetic. 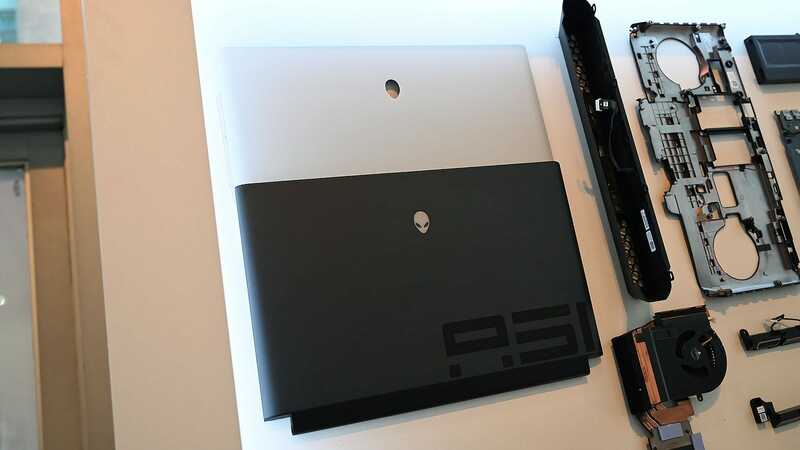 Between it, that all white Razer and some of the laptops Nvidia showed off this CES, it looks like the design of gamer toys are finally growing up. It’s about damn time.